This image was photographed on a destination babymoon session in Telluride, Colorado. 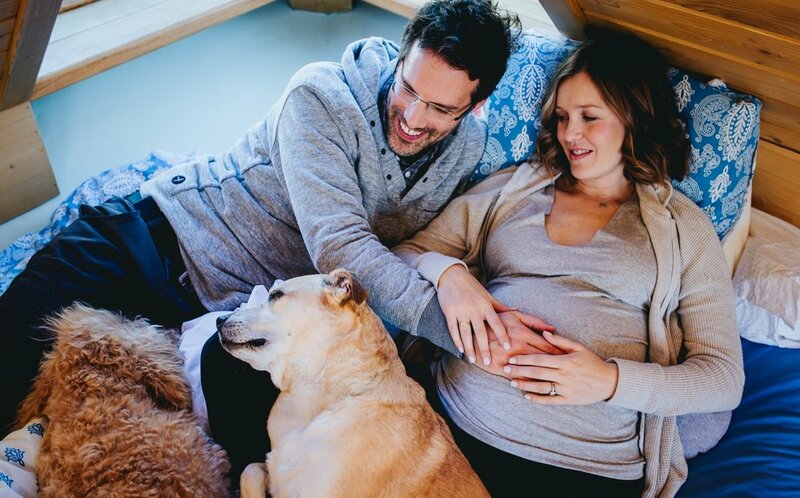 Telluride is a location very near and dear to this couple's journey to parenthood. The session started at their cabin, transitioned to a hike with their beloved fur-babies and finished up on a gondola ride into the charming city of Telluride where we were met with breathtaking views & the sound of aspen leaves flickering in the breeze. Thoughtfully preserved photos & films celebrating motherhood for those seeking authentic true-to-life moments honoring motherhood. Heirloom printed products are also available for purchase. Flexible payments & free gift registry are available. A 50% non-refundable retainer is due at the time of booking. Remaining balance due by the end of your 36th week of pregnancy. If you choose to print your own images I promise to share my favorite choice for high-quality commercial printing. Motherhood sessions are only available to those who choose me as their birth and/or newborn photographer. I only accept a limited number of Motherhood sessions per month and those space fills up fast. Shoot me a quick message and lets talk about capturing your story!